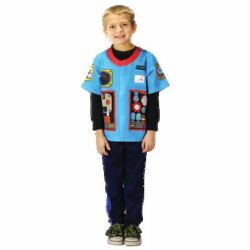 Slip into this Robotic Engineer shirt and design something great! Perform tasks that humans aren't able to complete. 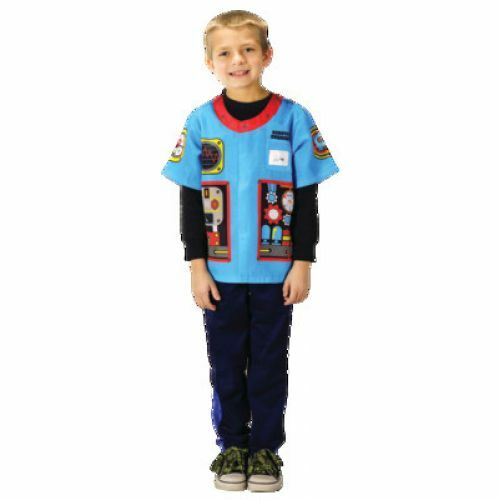 This shirt is easy for little ones to put on by themselves, with hook and loop closure. There is a clear pocket for their name. Ages 3-6.